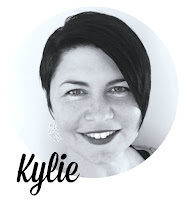 Kylie Bertucci Independent Demonstrator Australia: Crazy Crafters Team Project Highlights and Winners!! Crazy Crafters Team Project Highlights and Winners!! Today you are in for TWO exciting events! 2. I am highlighting my Crazy Crafters team and you can VOTE for your top Two projects! What wonderful support you all gave my very first International Blog Highlight Last week! Congratulations to our top 10 as voted by you all. Some of the votes were so close. In case you missed it you can see the incredible entries here. As a reward for taking part and getting the highest number of votes all in the top ten highlighted above will have the option to take part in an international blog hop with me the very near future. I love organising these types of hops and this will be lots of fun. If you want to take part next time I do one of these events please subscribe here so that I can send you the information you need to take part. Next up - It's now time to be inspired by my Crazy Crafters team - please take a moment to visit their blogs and vote for your favourites. You will get THREE VOTES. To Vote - click on the heart in the top right hand corner. My team appreciate you taking the time to visit their blogs and vote for them and I do too! Thank you. Prepared to be inspired by their amazing projects! Wow ... that's great! I'm looking forward to the blog hop. Thanks for extending the blog hop to the top 10. Can't wait to participate. Thanks for organising all of this. Very much appreciated. Loved yours and can't wait to case it! Thanks Kylie for hosting! I feel honored and I'm excited to participate with such talent!